Bringing the rain to Edward! Sponsoring a child can be a deeply rewarding experience. Many of our sponsors assist children in ways can massively improve, not just their lives, but their local community’s too. Edward and his family from Uganda had a water-supply problem ….a generous sponsor helped them find a solution..
Edward and his family live in a village called Kananage in the Buwuda community of Eastern Uganda, not far from the river Nile. Nearly three-quarters of the families in that area of Uganda live below the poverty line, earning €15 a month through subsistence farming, rearing livestock, market trading and casual labour. Most families don’t have their own water supply. Often times children or their carers have to undertake long, exhausting trips to community bore-holes or shallow wells where they have to stock up on safe water and carry it home. Other times they are forced to use unsafe water from untrustworthy sources. Getting safe, clean water for the family can involve a debilitating daily routine and a lot of hard labour. Edward lives with his parents and has 5 siblings, 3 girls and 2 boys. He is the 3rd born in the family. He studies at Kananage primary school and this year is in grade two. For many children in developing countries, the sourcing of safe water has a huge impact on family life and on a child’s education. In Edwards case, the nearest water point is 3 kilometres away. Every day his mother must undertake two round trips in the morning and again in the evening, to carry back safe water for the whole family. Not using safe water leaves the family at risk of water born diseases. When Edwards mother makes her morning trip, Edward is required to look after his younger siblings and this has caused a lot of disruption for him in terms of being able to attend school regularly, and on time. Luckily for Edward and his family, help was at hand. His sponsor in Ireland decided to pay for the construction and installation of a Ferro tank. These tanks are essentially rain harvesters that collect rain and store water from the roofs of houses, especially during the rainy seasons of Feb-May/Aug-Nov, and thus provide a ready water supply. 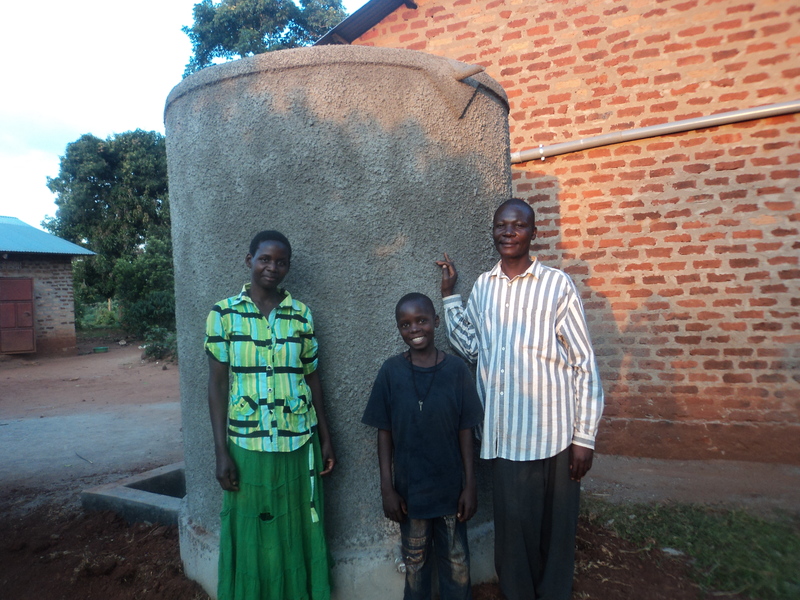 Thanks to the Ferro tank, Edward and his family can now look forward to the rainy season! Its not just Edwards family who have benefited from his sponsors generosity, the tank is a resource that neighbours and friends can use. It can save other mothers or children from having to undertake gruelling daily journeys, carrying heavy buckets of water twice a day. Holding up to 10,000 litres during the rainy season, The Ferro tank can supply water to as many as 101 neighbouring households! So its not just his family, but all his neighbours in the entire local community who are delighted about the tank too. One simple act of kindness from a sponsor has had a major impact on this local community’s daily life. Edwards mother no longer has her day dominated by exhausting journeys to and from the well, 3Km away. That’s very good news for Edward and his brothers & sisters! 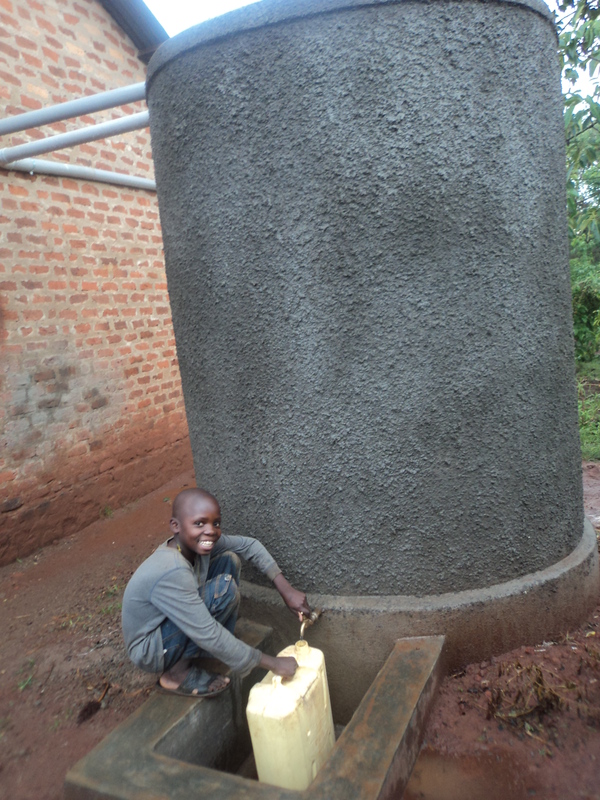 A smiling Edward gets water for the family from the Ferro tank. His life has been hugely improved thanks to the kindness and generosity of a ChildFund sponsor. 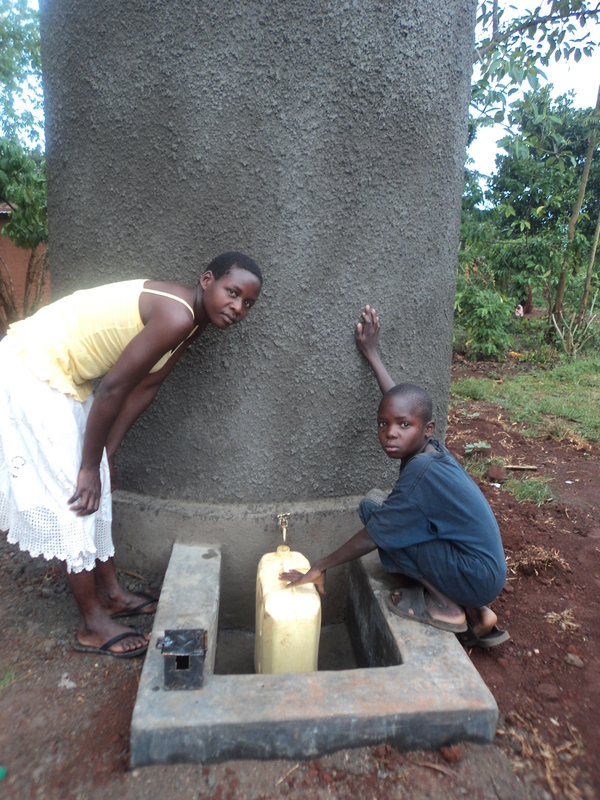 Since the tank was installed Edward and his the family have been able to enjoy safe, clean water. 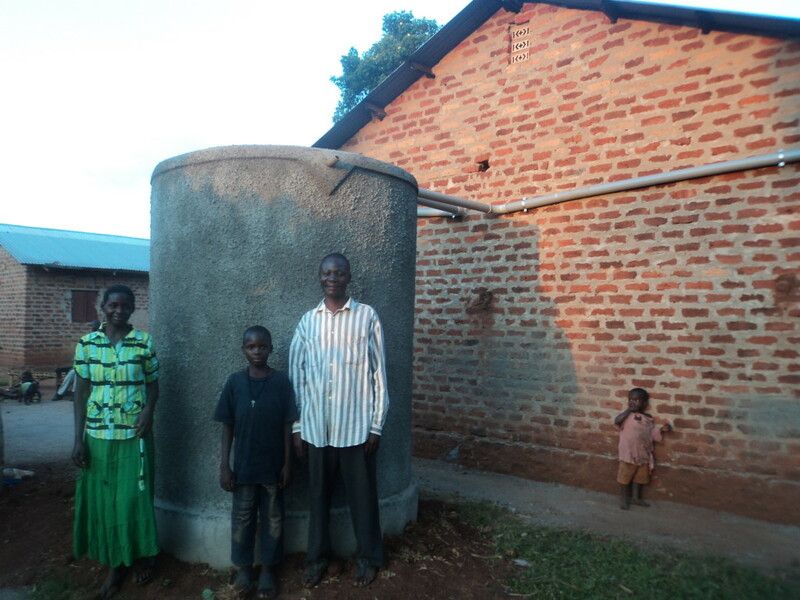 This intervention has helped Edward and the family to reduce the time spent collecting water. Edward’s turnaround time has improved and he is now in position to arrive at school on time. The water borne infections which were caused by consumption of contaminated water are expected to reduce since the family is now accessing only safe and clean water from the tank. Since water is readily available for the family, Edward and siblings have more time to be with their mother. She no longer has to undertake two gruelling journeys a day, instead she can spend time with them, as they read books and play and do homework. Comparatively small investments like these can have such an enormous impact for the daily lives of people in developing countries. Thanks to the kindness of our loyal sponsors many children like Edward are being helped to have sustainable futures, as we work to provide them with the best possible supports, and to have safe, happy environments in which to grow up. You Are Here: ChildFund Ireland > Blog > Bringing the rain to Edward!